Trent Carter outdueled his father, Rand, to claim first place in this year's Waterman's Memorial Race. 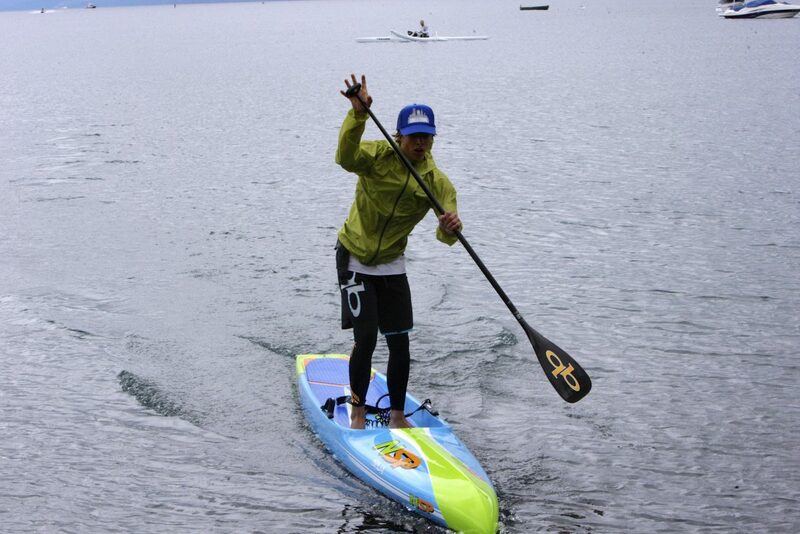 For Rand Carter that day came on Saturday, May 26, at the Waterman’s Memorial Race, as son Trent, edged father for the day’s fastest time on a standup paddleboard. Still, the elder Carter was faster than the rest of several dozen paddlers competing in the 6-mile race as the father-son duo took a one-two finish at the race off of Carnelian Bay. Rand Carter, 54, chose his 18-foot board to for the race, while his son paddled on a 14-foot craft. Rand Carter held the advantage on the straight sections of the course, but struggled making a 180-degree turn before the final home stretch. Rand Carter would still take the first-place trophy out of the unlimited division. For Trent Carter, the win comes off a second-place finish in the stand-up paddleboard 14-foot division at last weekend’s Santa Cruz Downwind Ryders Cup race. Carter will next look to earn a spot on the US team when he competes in the USA Surfing Championships and Team Trials in Oceanside, Calif., on June 11-14. * This post will be updated to include complete race results.